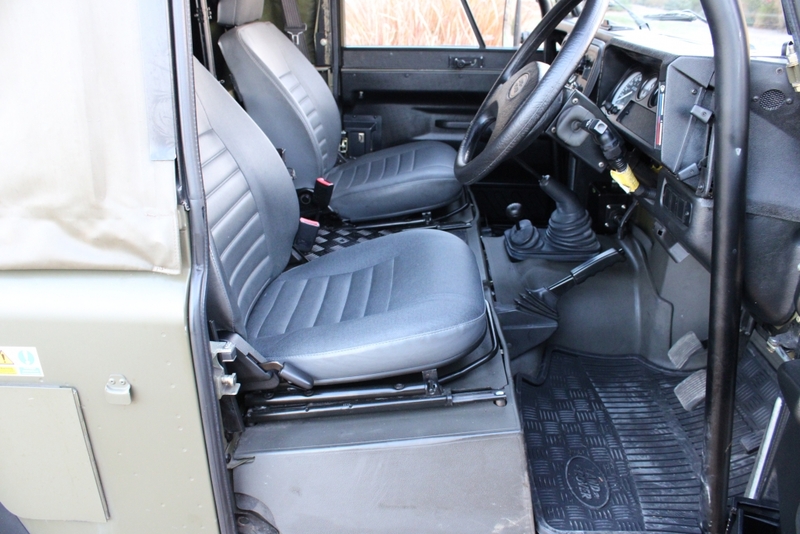 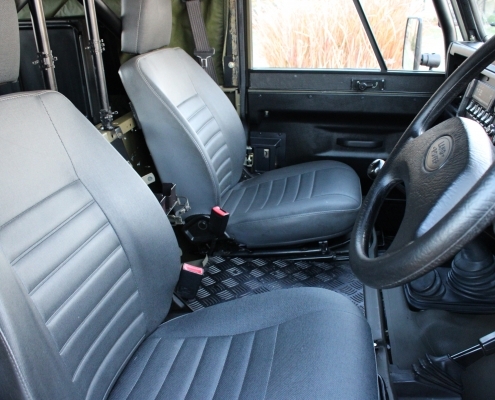 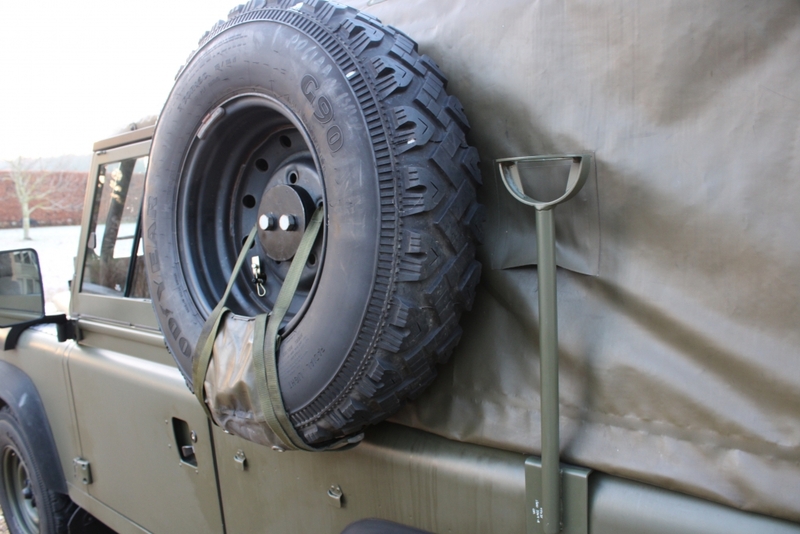 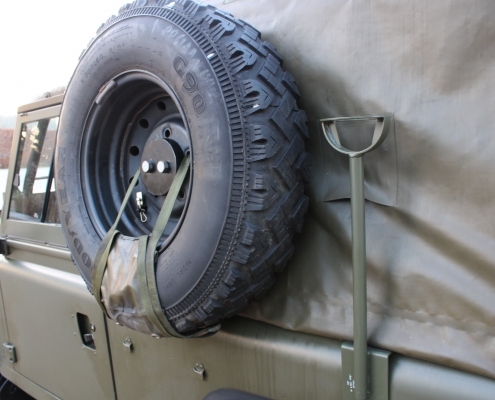 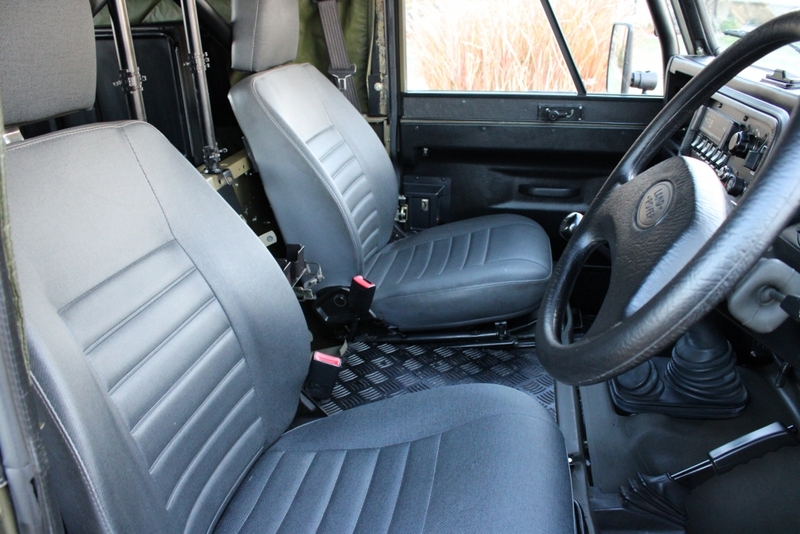 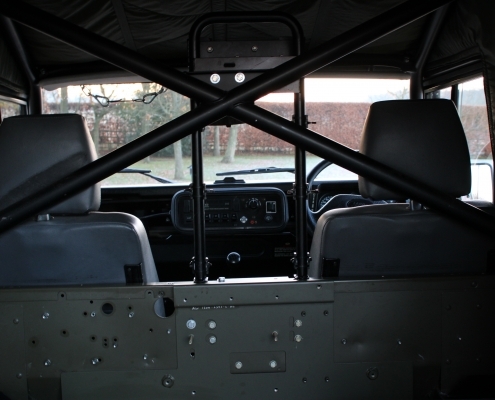 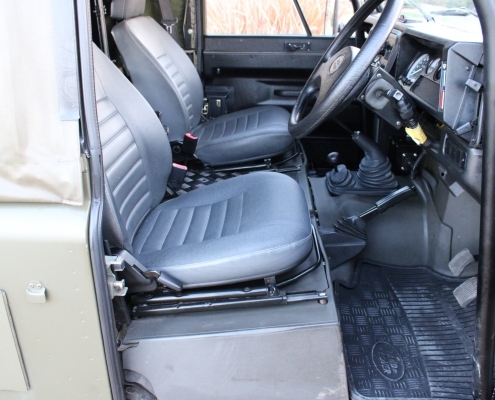 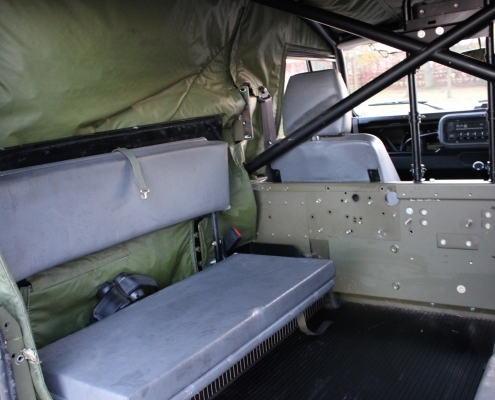 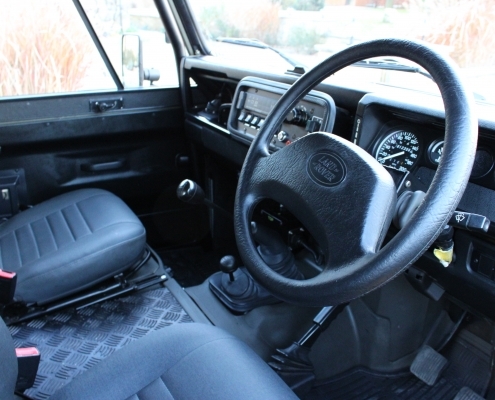 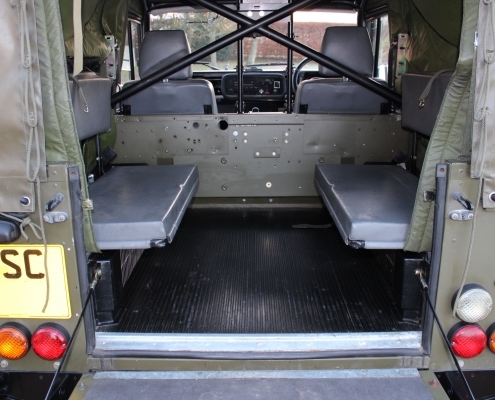 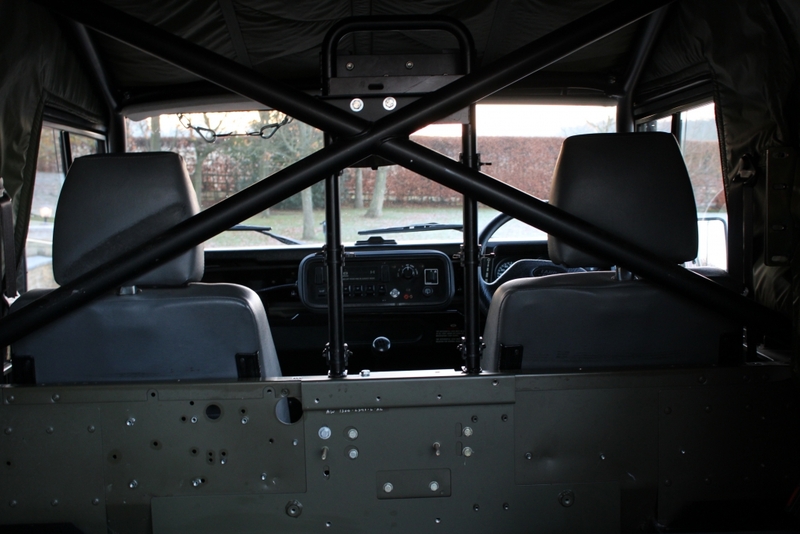 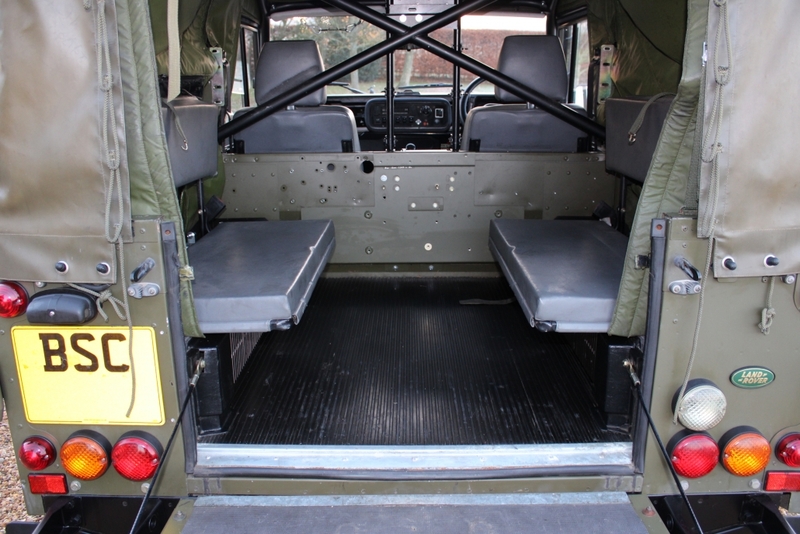 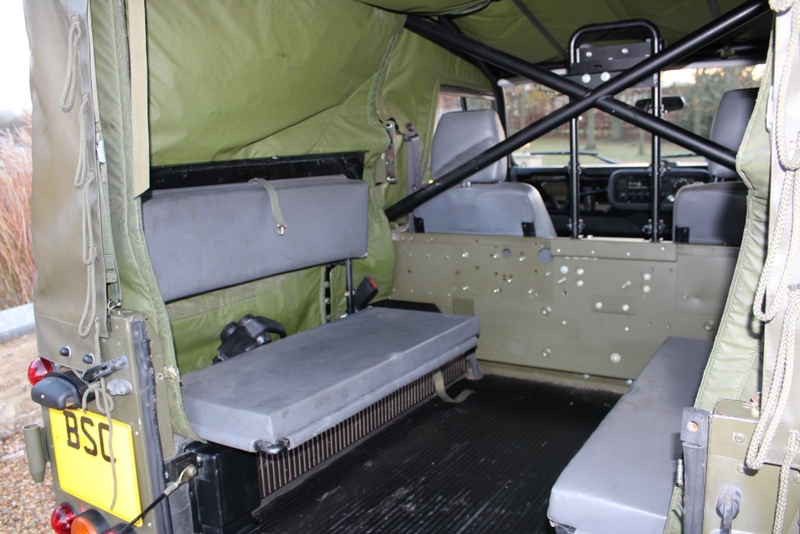 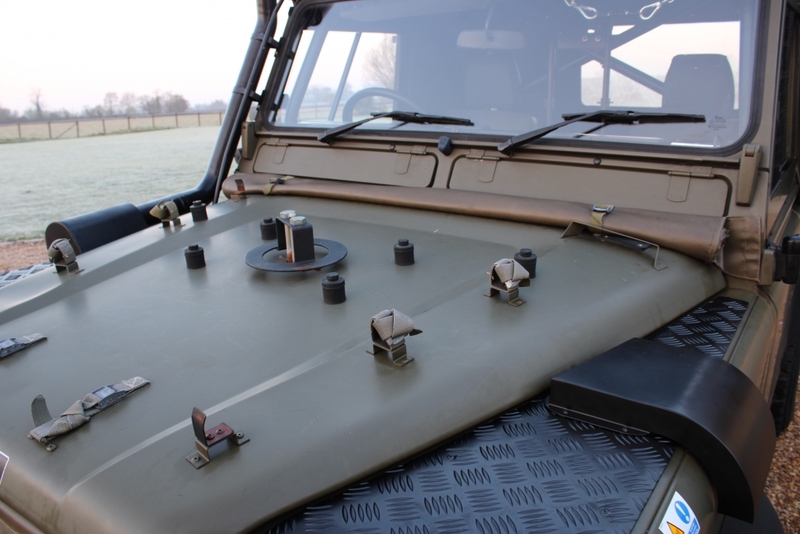 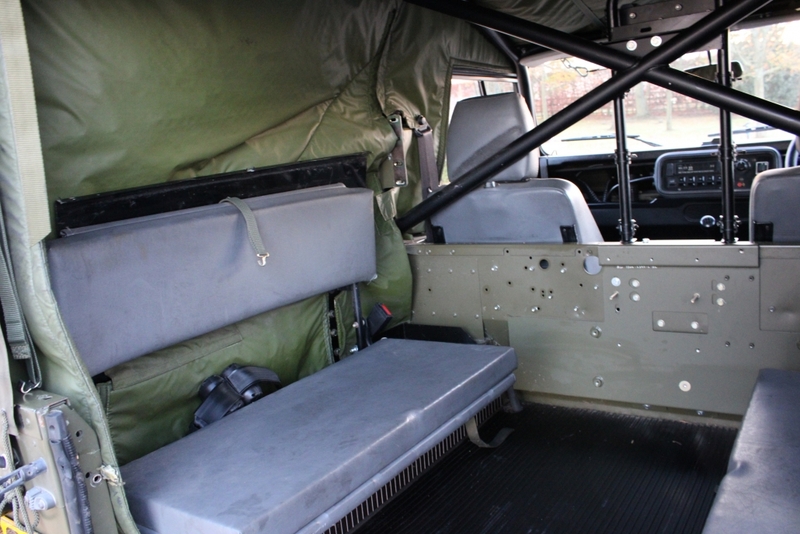 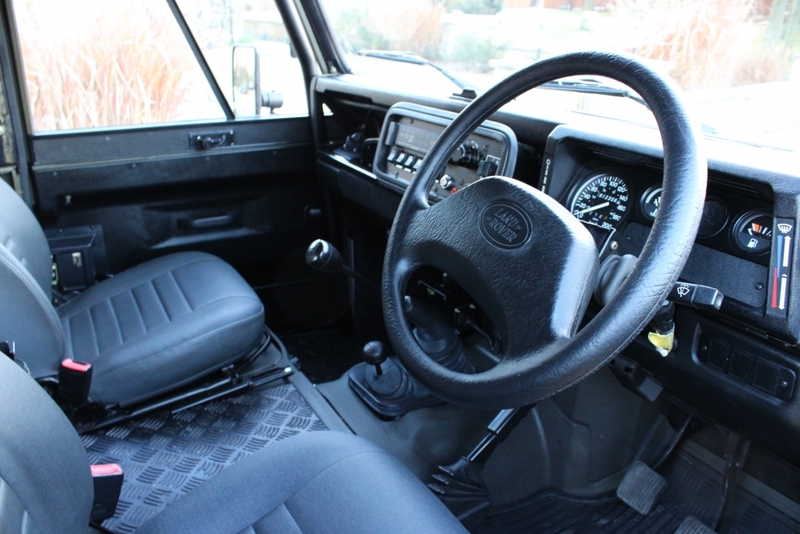 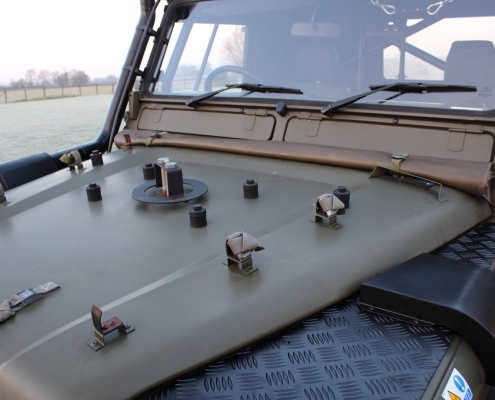 Upgrades included a 2″ ride height increase due to heavy duty suspension design whilst the chassis on this Heavy Duty is said to be eight times stronger than standard and fitted with a heavy-duty roll cage, prop-shaft protection between chassis and hub and heavy-duty bumpers. 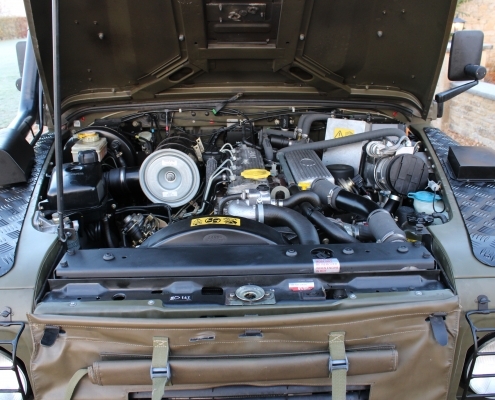 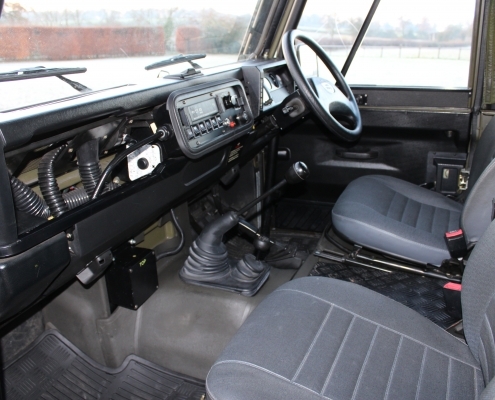 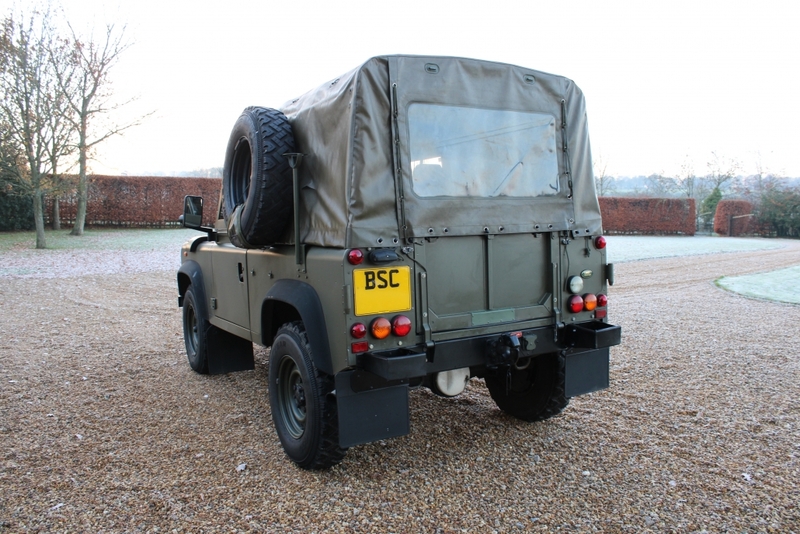 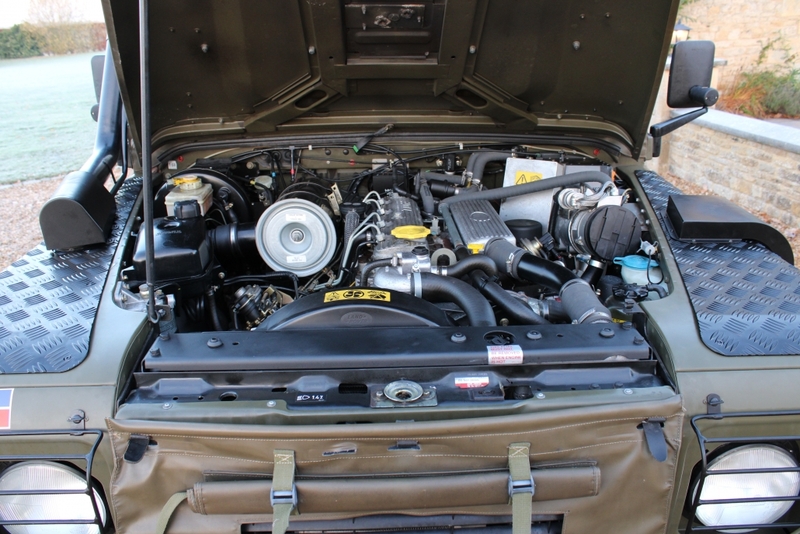 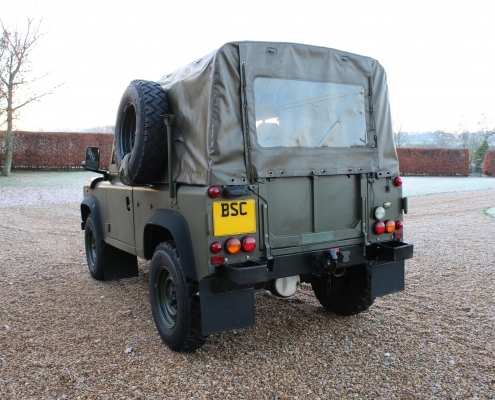 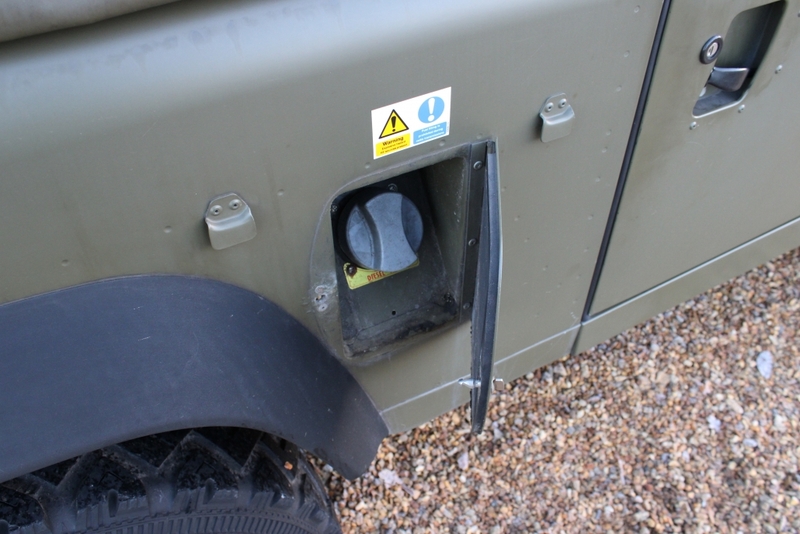 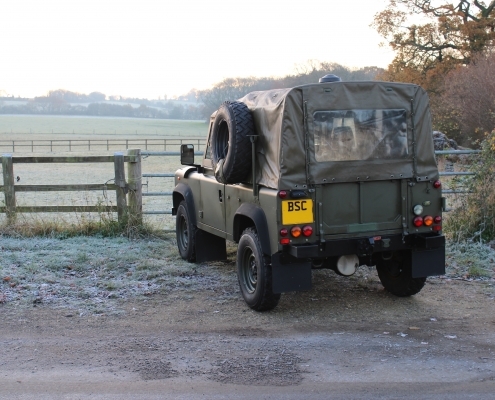 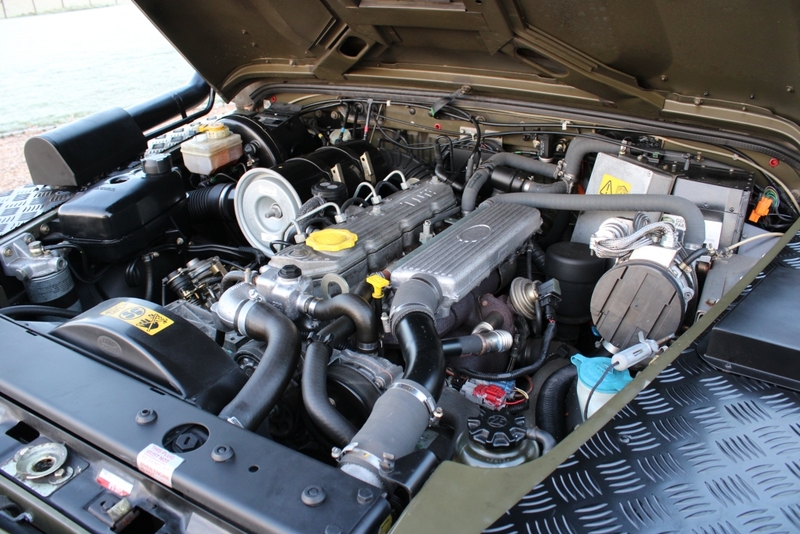 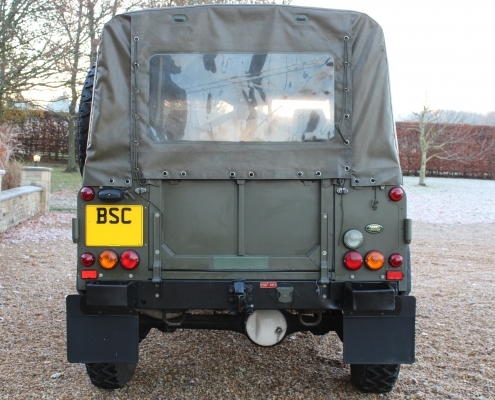 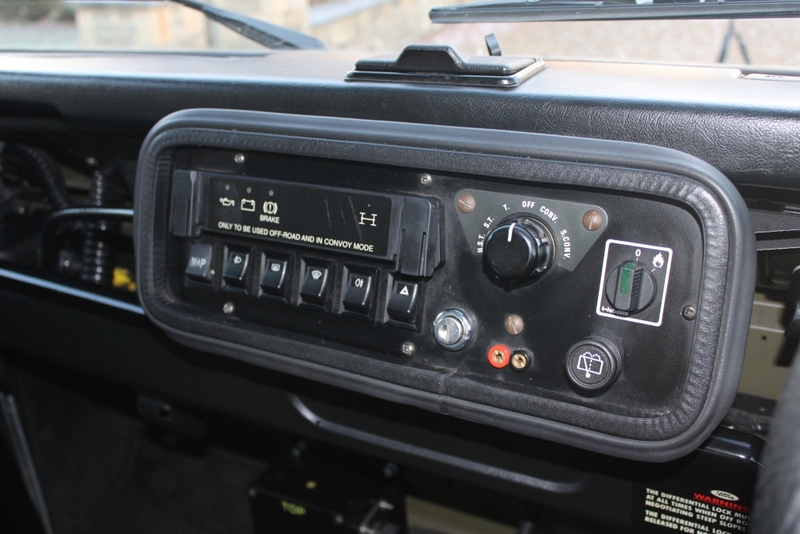 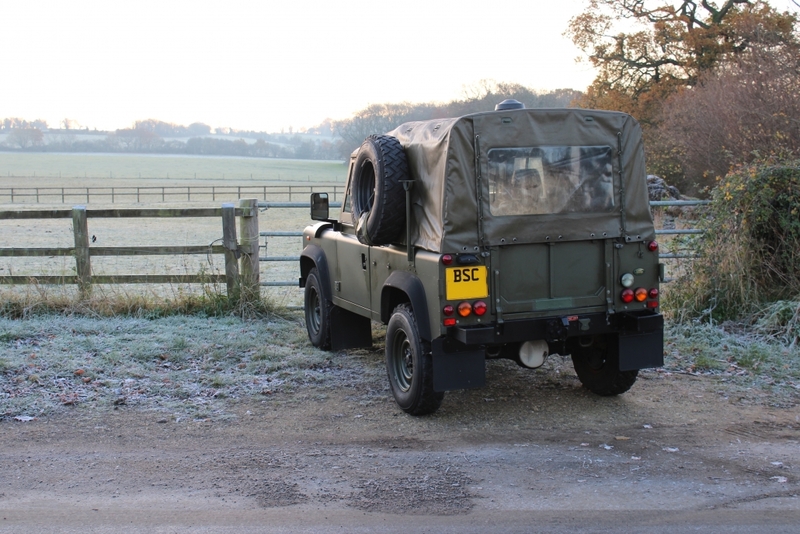 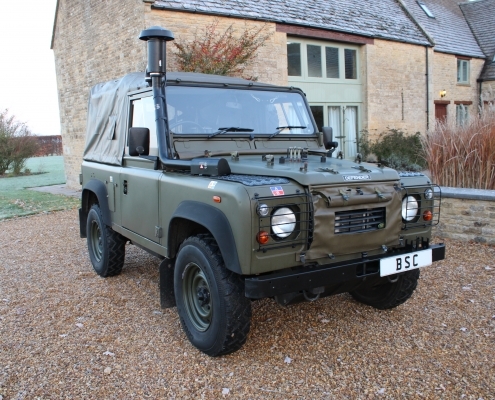 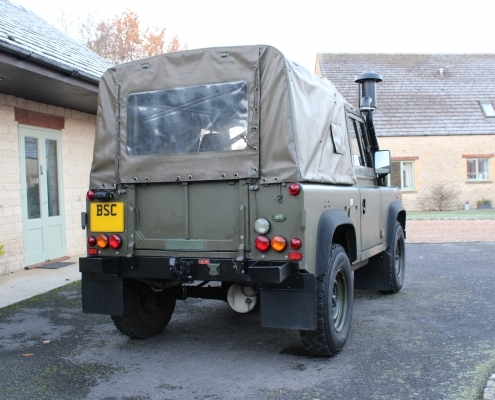 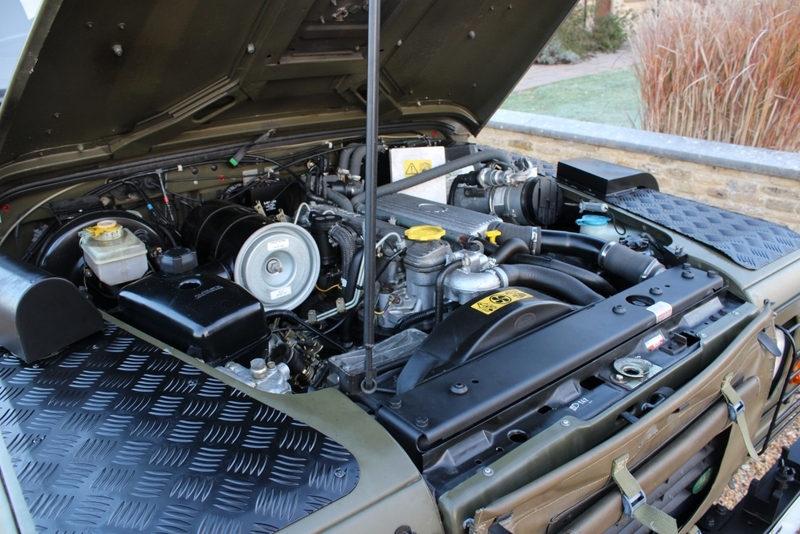 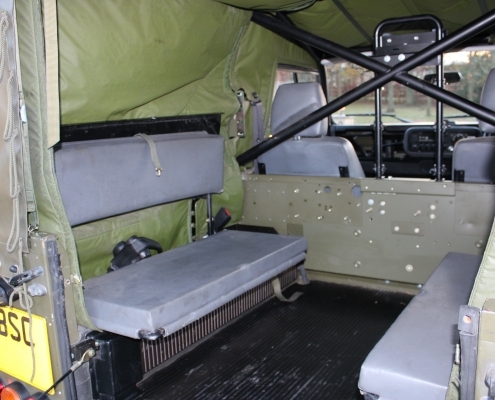 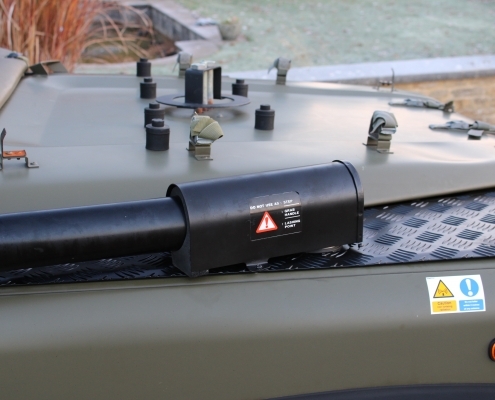 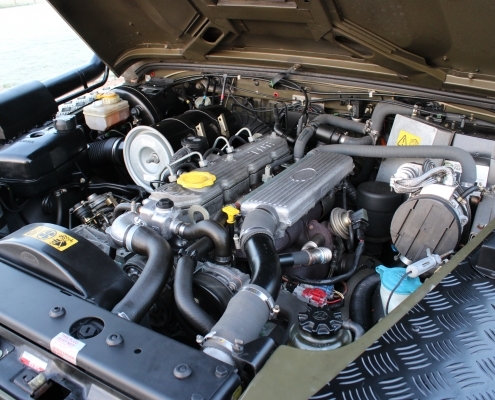 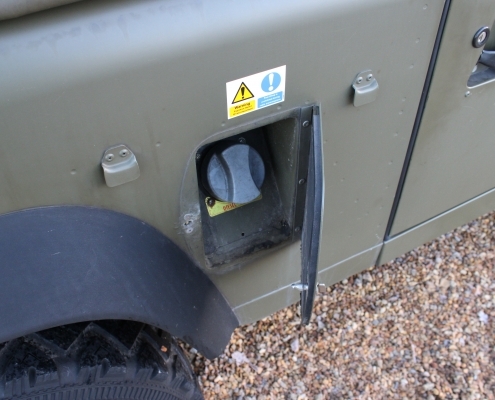 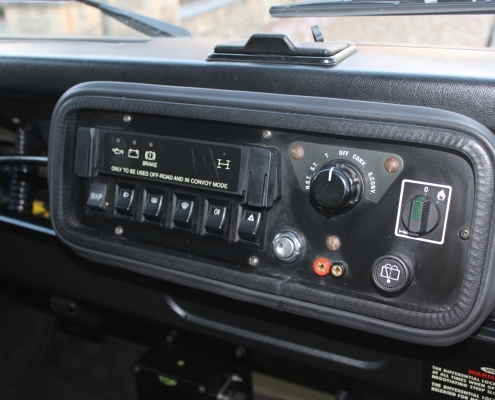 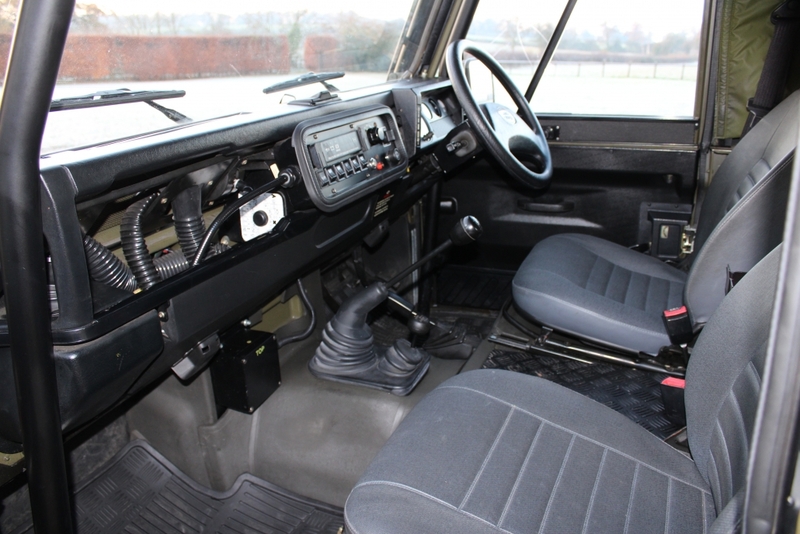 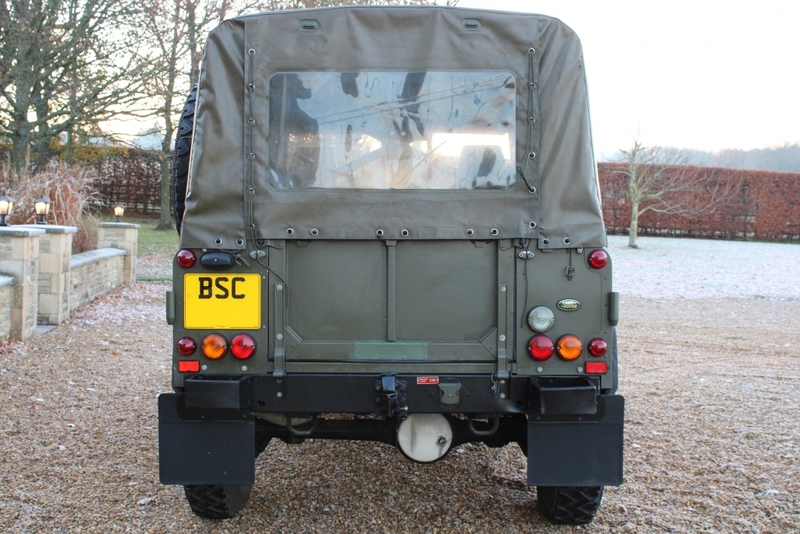 The vehicle also features sealed headlights with breather pipes to top of windscreen, 113bhp, 300TDi engine with no electronics except fuel pump solenoid, rust proofed chassis from new, gearbox cooling system, reinforced front bulkhead, rails and sills, reinforced Salisbury rear axle and standard reinforced front axle and uprated diffs, 80 litre reinforced fuel tank, very tough and heavy duty Wolf wheels, convoy light system with a light illuminating the white painted rear differential, NATO towing hitch, 24v electrical system plus 24v generator and side mounted spare wheel to name but a few modifications. 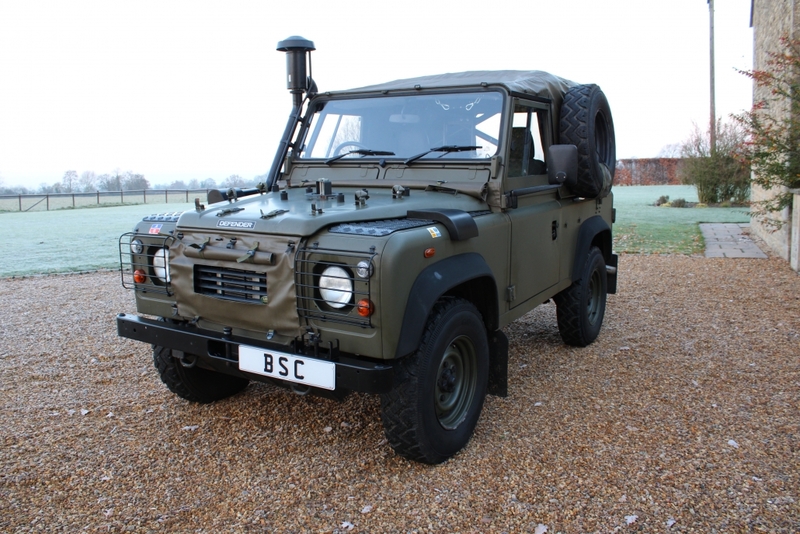 A few Wolf Defenders have been decommissioned by the forces and are now in civilian hands but are quite rare especially ones that have not suffered damage and are in excellent condition. 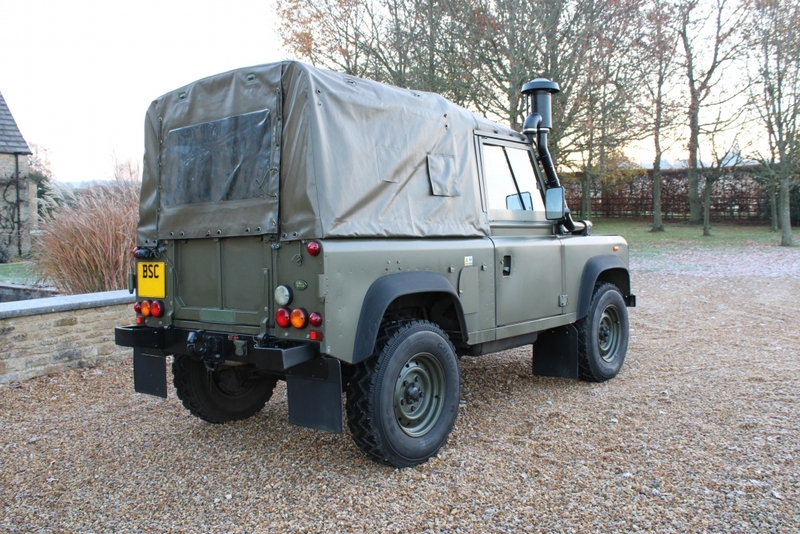 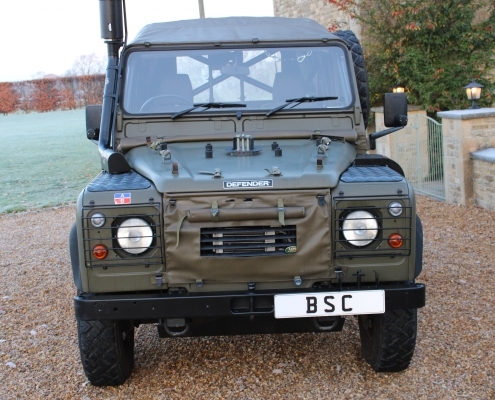 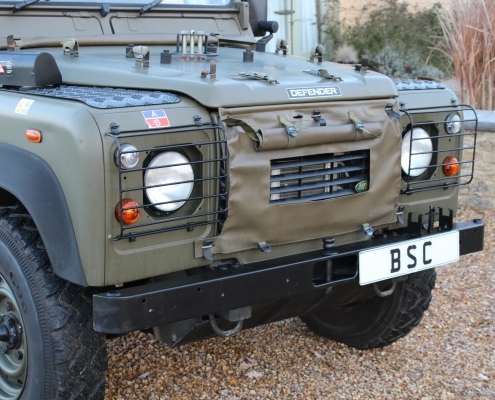 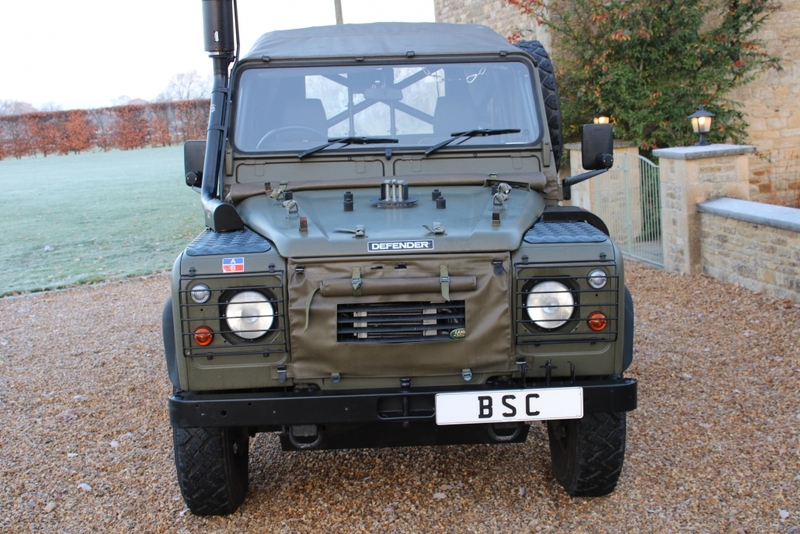 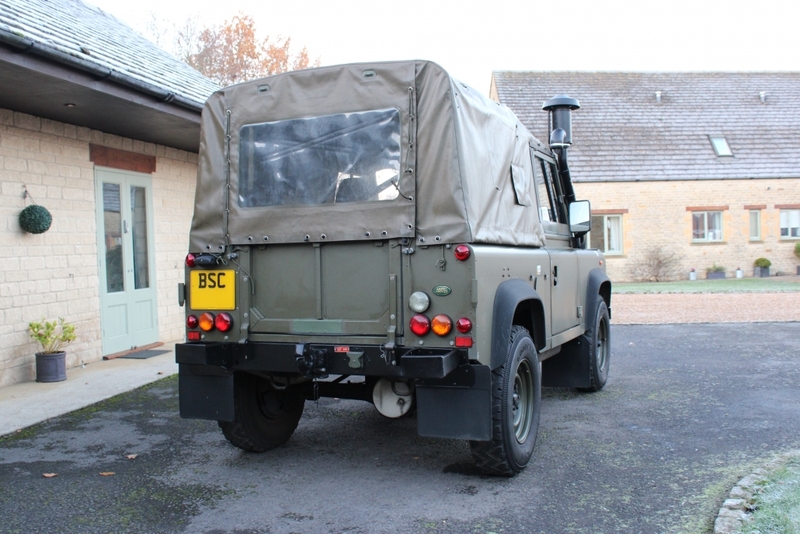 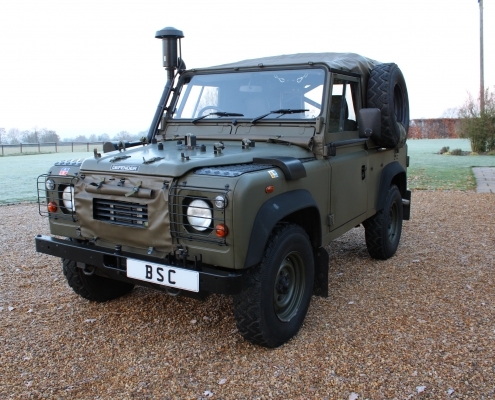 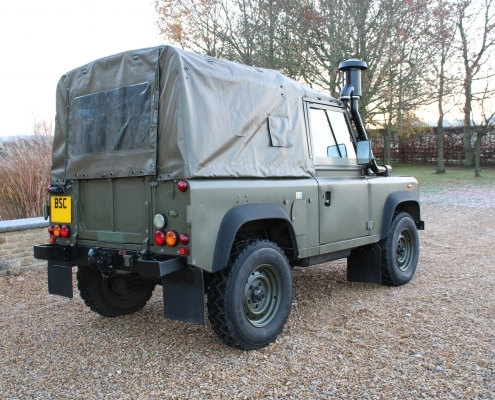 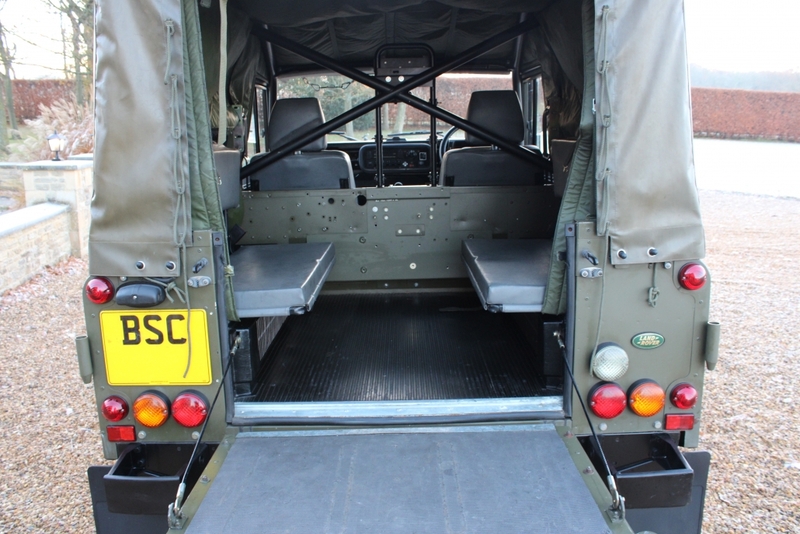 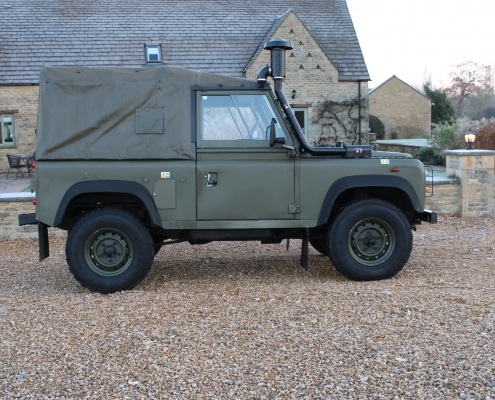 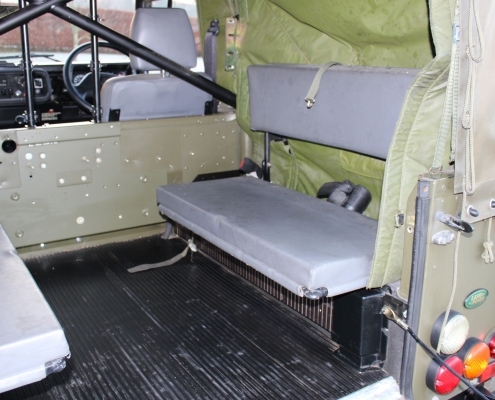 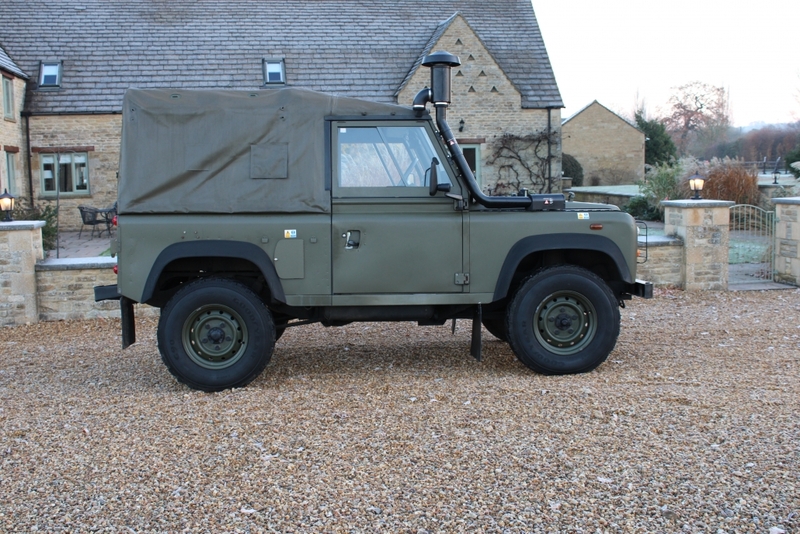 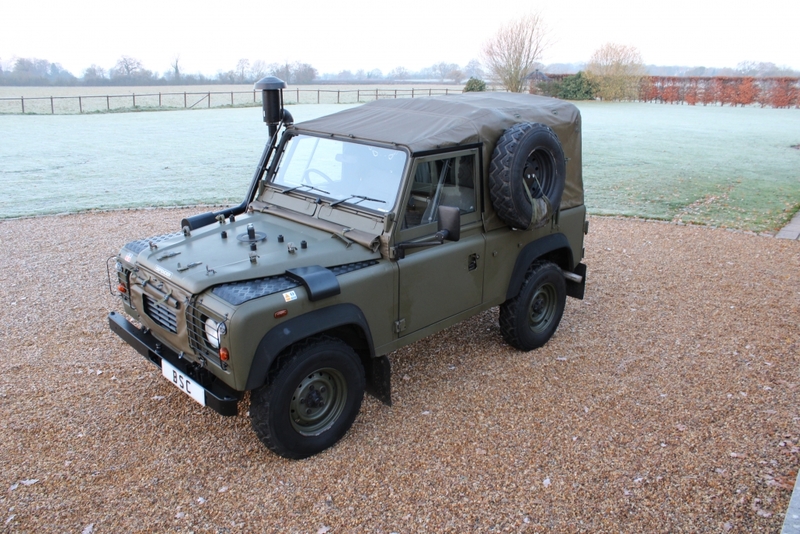 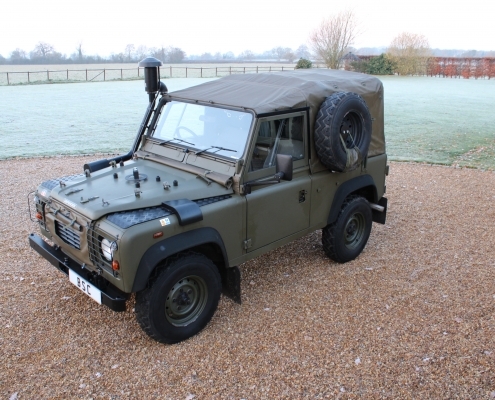 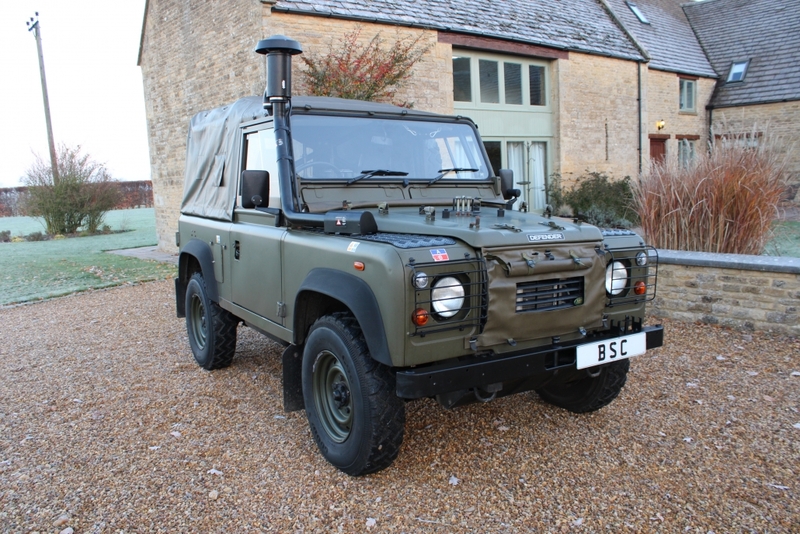 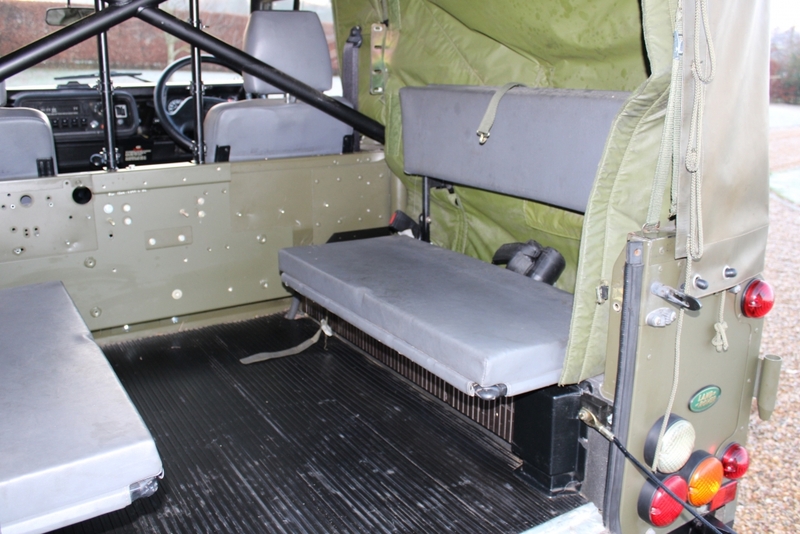 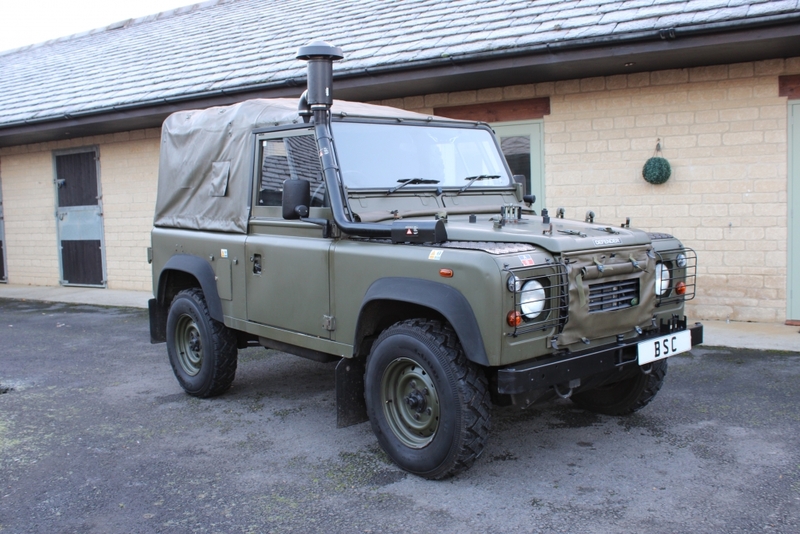 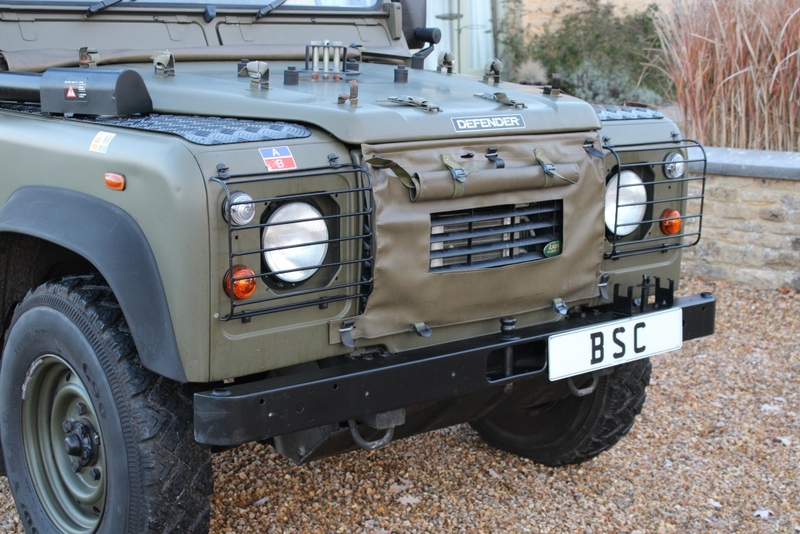 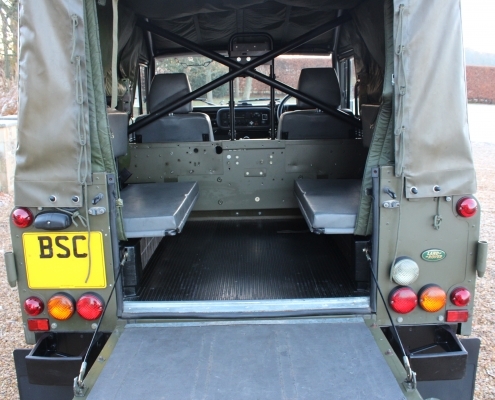 This Land Rover is in superb condition and has been very well maintained by the Ministry of Defence having just been decommissioned this month and now road registered as a civilian! 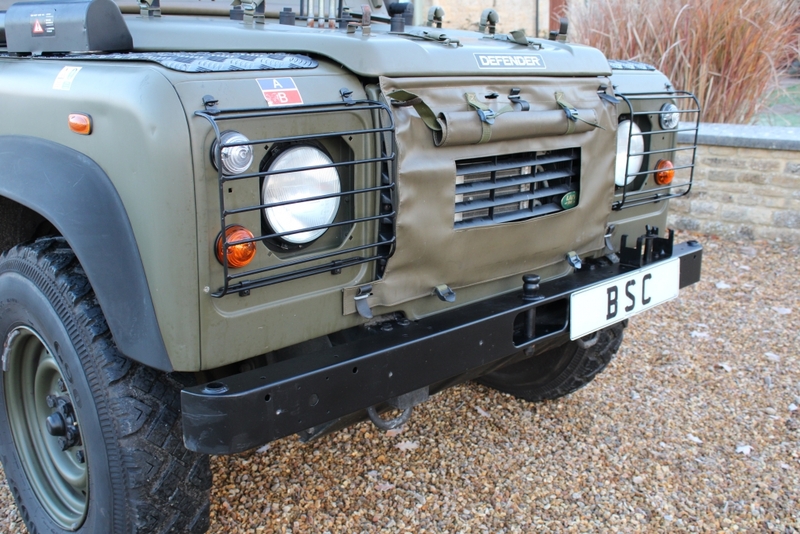 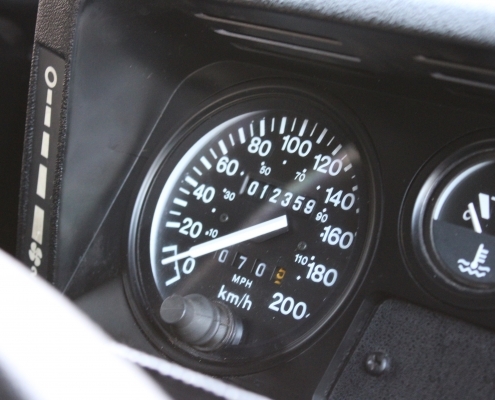 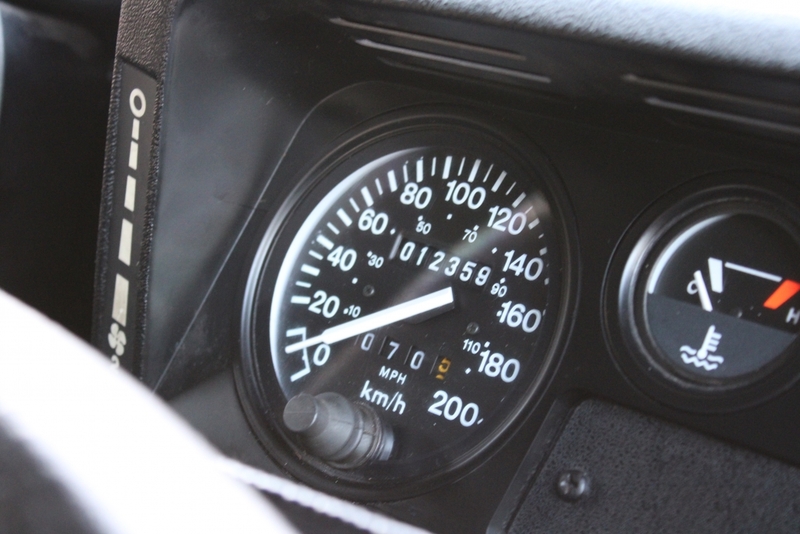 She has been inspected, serviced and mot tested with only favourable comments from the workshop especially with regards to its obvious high standard of maintenance over the past 19 and current condition is excellent. 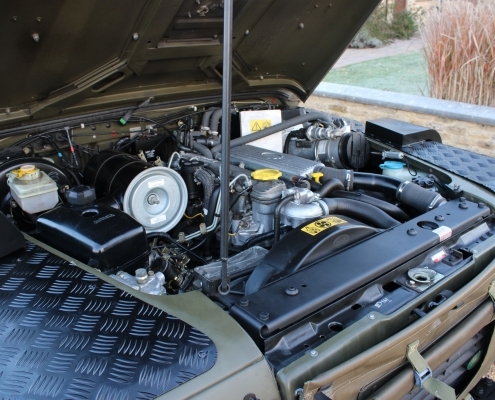 The detail engineered into the Wolf is amazing even with a separate heating system for up to minus 40 degrees and heat radiators under the rear seats, the drivetrain feels so much more robust than standard and handling is superb. 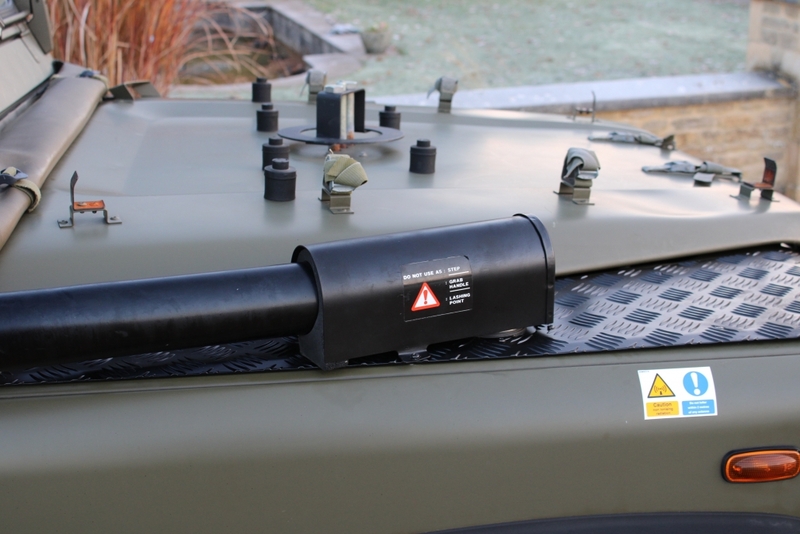 They are waterproof up to the screen and even the instruments and electrics are protected with additional sleeves and covers don’t think anything could stop a Wolf! 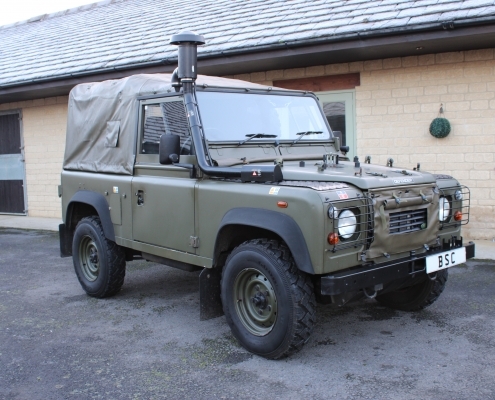 On /off the road this is one of the best 4×4 you could buy with capabilities way beyond the average user and great fun ready for any eventuality and ideal for a trip to the Artic or Sahara! 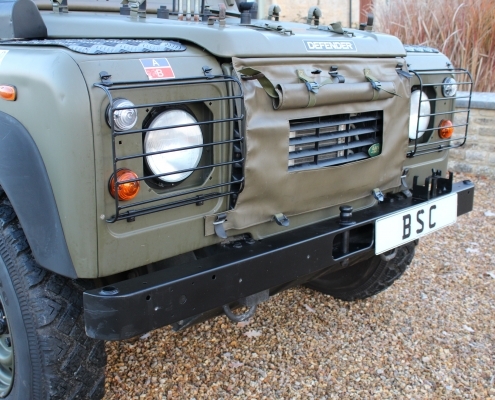 Supplied serviced with 12 months warranty.